HOW MUCH YOU WANNA BET THIS “BOMB” THING IS THE LEFT TRYING TO MAKE THE RIGHT LOOK BAD? This is a huge media manipulated onslaught to affect the public before midterms. It’s all about gaining power by manipulating the easily swayed masses. Bet you didn’t hear about the two Republicans who were attacked while campaigning? What about the fake poison powder sent to Donald Trump Jrs wife and family? What about the restaurants and movie theater stalkers, the Antifa street fighters, the softball game shooter? The word “mob” started to stick. That’s the brand the Democrats want to get away from. They want to PIN THIS on Trump and stir up a “hateful Republican” narrative. Remember this – the media is the Democratic Party. They work together with Left Wing strategists and funders. It’s impossible to go by foot the distance these folks traveled and show up during U.S. Midterms without logistic funding and coordination. It’s a media moment to turn people against the “mean” Republicans. The ones getting shot at and harassed. Who is behind the invading 10,000? 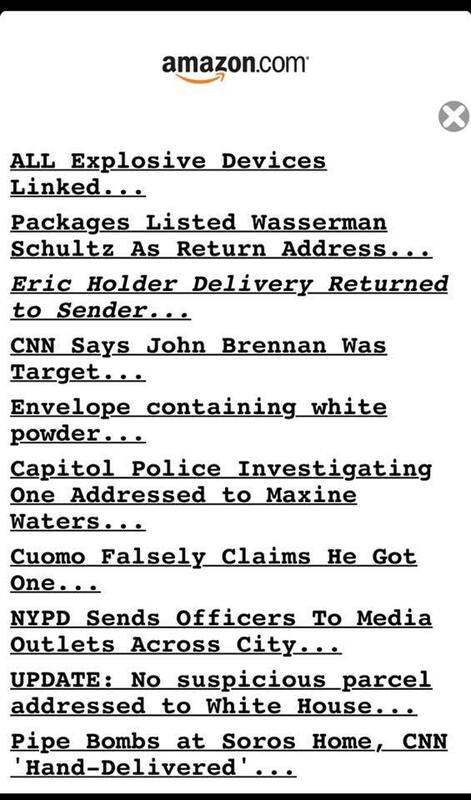 Who is behind the mystery bombs? Is it pro-life Catholics? Evangelicals? What’s the real nature of the Trump supporter? Remember all the fights and disruptions at the Trump campaign rallies? Who funded that? Did this happen at Hillary events? No! Remember Trump having to CANCEL his Chicago rally because of weapons and violence? Remember the wild stage celebration that followed when activists succeeded in intimidating Republicans out of the event? Why is it that in these Trump gatherings of 10,000, 20,000 or 50,000 people there is no show of anger or violence? When was the last time you heard of a conservative riot? I tell ya… I’m learning how the Left works. How the media works. Russia conspiracy? It fizzled, Stormy? IT fizzled. What’s left? Midterms! They have our military facing off with who? Watch them look for children in the Caravan and brought to the front for photos and videos of them facing off with the military. I’m telling you, I think it’s ALL a set up. It’s not the Trump base behind bombs and mobile mobs. Let’s see. Should be EASY to find the source, right? UNLESS it’s cloak and dagger rouge Intel community stuff like the guys who cooked up the Dossier story. Let’s see if they find the source. No Comments on "See these headlines?"